Here are links to other Tracy Anderson Method posts including reviews, various Tracy Anderson diets and tips! In case you aren’t on the Tracy Anderson mailing list, I am offering some of the info from her sneak peek into her new book Tracy Anderson’s 30-Day Method: The Weight Loss Kick Start that Makes Perfection Possible. If you aren’t familiar with the Tracy Anderson Method, Tracy has a celebrity client roster that would make anyone go crazy all with the bodies to match. She works with her clients and now with you and me on creating a lean, toned, dancer body at any age. Growing up an aspiring dancer, Tracy found that she bulked up with regular exercise and weight training leading to frustration as you wanted a “teeny-tiny dancer’s body”. She developed her method as a way to get that dancer body for herself and later for clients and now for celebrities like Gwyneth Paltrow, Kristin Davis, Courtney Cox, Shakira. She famously worked with Madonna for years too. Tracy Anderson’s workout videos have been available to the masses for a while and you can find full reviews on my site of the different DVDs. I offer an extensive review of my favorite, the Tracy Anderson Mat Workout DVD with it’s incredible arm workout series. That is the way to get long, lean toned thin arms! I also have reviews of several of the webisodes created by Tracy Anderson for Gwyneth Paltrow, for Gwyneth’s site GOOP and for charities. The Dance Cardio DVD is worth checking out as well. And now, her highly anticipated book: Tracy Anderson’s 30-Day Method is coming out in just a few days (you can already order it here). She shares a sneak peek so we can review some of the book for ourselves and decide if it’s a buy! Tracy provides a recipe that looks pretty delicious. I plan to try making it tonight. 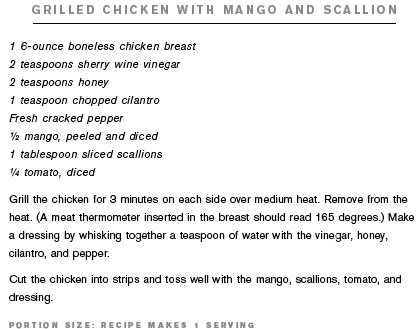 Here it is directly from her site Tracy Anderson Connect - unlike most recipes, it is conveniently measure as a recipe for 1 person so you don’t have to figure out how to cut it down which is nice. Tracy’s site also offers a sneak peek at one of the pages of the site where she shows a straight leg sit-up and describes why it is best for women to do straight leg crunches rather than the traditional bent knee crunches. Doing the crunches this way will avoid overdevelopment of muscles you don’t want to build up. The book is a three-tiered approach focusing on Mat Work, a cardio workout that attacks the smaller muscle groups and an eating plan for 30 days. Dozens of recipes are included in the book. Let us know in the comments if you have tried any of the Tracy Anderson eating plan recipes and what you thought! The short arm and leg sequences can be worked into your routine and other Tracy Anderson Method webisodes and DVDs. Have you received the book yet? What are you waiting for? Order the Tracy Anderson’s 30 Day Method: The Weight Loss Kick Start that Makes Perfection Possible now so you can get started on that body you have always wanted.